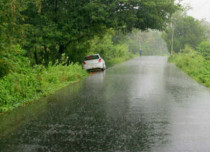 Rain and snow continued to lash Jammu and Kashmir and Himachal Pradesh for the third consecutive day. While, Uttarakhand has also recorded good amount of rain during last 24 hours. As reiterated by Skymet Weather, that rain activity is due to the prevailing Western Disturbance over Jammu and Kashmir that is moving eastwards. With this, scattered rain and snow is likely to continue for another till today evening. We can expect some relief from the rainy weather March 15 onwards as the Western Disturbance is likely to clear away the region. However, sky will remain cloudy and temperatures are also not expected to increase much. According to Skymet Weather, another Western Disturbance is approaching Western Himalayas and is likely to affect hills of North India by March 16 evening or March 17. With decrease in weather activity, threat of cloud burst or flood has died down but possibility of landslides still looms large over the hilly region. The soil tend to loose its grip after the continuous downpour leading to landslides. Following are the rainfall figures recorded across the hilly states of North India in span of 24 hours from 8:30 am on Sunday. Heavy rains have been lashing the Western Himalayas for the past two days. 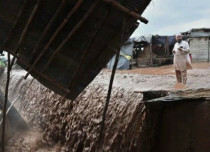 Both HImachal Pradesh and Jammu and Kashmir have been recording heavy rains. Higher reaches have also been recording snowfall activity. During the last 24 hours, while Banihal recorded 24 mm of rain, Qazi Dung observed 6 mm of rain. Rain and snow has also been reported in parts of Uttarakhand. A fresh avalanche alert has also been issued in the upper region of the Kashmir Valley. People have been asked not to venture out and stay inside their home during the next 24 hours. Hailstorm is also expected over isolated pockets of the region. Inclement weather conditions may also result in a series of landslides and mudslides in the region resulting in road blockages. These weather conditions can be attributed to a Western Disturbance, which is currently stationed over Jammu and Kashmir and is moving in an eastward direction. 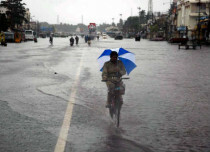 The intensity of rain is likely to reduce after 24 hours as the weather system will move away from the Western Himalayas. However, another Western Disturbance will start affecting the Western Himalayas around March 16. 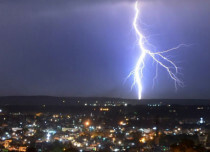 Heavy to very extremely heavy rain and snow have lashed Jammu and Kashmir and Himachal Pradesh during last 24 hours. Moreover, there will be no respite from the incessant activity for another 48 hours. With these inclement weather conditions likely to prevail, threat of landslide and flash floods are looming large over these state. 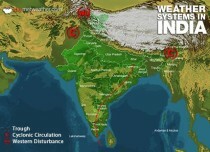 According to Skymet Weather, the active Western Disturbance has given fairy widespread rain and snow over the hilly states. Uttarakhand have also received fairly widespread light rainfall under the influence of this system. The weather system is presently marked over Jammu and Kashmir and will continue to pound heavy showers over the region till March 13. Weather activity is likely to reduce March 14 onwards as the systems clears the region, moving further eastwards. We can expect some relief on March 15 and 16, thereafter another Western Disturbance will start affecting Western Himalayas. This will also bring back the spell of rain and snow that is expected to continue till March 20. Meteorologists have warmed people from travelling to these states till March 20 to avoid any untoward incident. Let us have a look at the rainfall figures recorded across Jammu and Kashmir, Himachal Pradesh and Uttarakhand in span of 24 hours from 8:30 am on Friday. As predicted by Skymet Weather, hills of North India have started receiving fresh spell of rain and snow duirng the last 24 hours. While Jammu and Kashmir received fairly widespread light to moderate rain and snow, Himachal Pradesh witnessed scattered light rain only. As we progress further towards Friday evening, the weather activity is likely to intensify. Both Jammu and Kashmir and Himachal Pradesh are expected to receive fairly widespread moderate to heavy rain and snow during next 48 hours. In wake of the activity, day temperatures have already come down and are likely to settle below normal during next two days. This widespread activity can be attributed to active Western Disturbance presently marked over North Pakistan and adjoining Jammu and Kashmir. The system is moving in east direction and will soon start covering more parts of the hilly region. 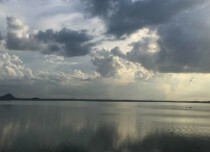 According to Skymet Weather, sky will remain overcast throughout the day. And as the weather models indicate, expected heavy rains may lead to landslides, flashfloods and even a cloudburst too. Moreover, higher reaches of both the states are reeling under the threat of avalanche. This fresh wet spell will last for days three days till Sunday. Monday onwards, rains will take a backseat as the Western Disturbance will move away from the region and clear weather will prevail over the region thereafter. However after a brief respite of only 2-3 days, another Western Disturbance is likely to affect Jammu and Kashmir by March 16. Let us have a look at the rainfall figures recorded across the state in span of 24 hours from 8:30 am on Thursday.